You may recall how I thought one of the more exciting parts of The Habitation of the Blessed—Catherynne Valente’s reworking of the legends of Prester John’s magical kingdom deep in central Asia—was how she worked in a legend regarding Alexander the Great building a massive wall to imprison the evil giants Gog and Magog. As it happens, she was adapting part of the Romance of Alexander, a series of tales passed down since at least Roman times that were greatly expanded in the Middle Ages. Two selections from a loose translation of these tales, retold by Richard Steele in 1894, is available in The Tolkien Fan’s Medieval Reader. I recently read them, and was delighted. These are rousing adventure tales, reveling in the new, the exotic, and the bold. The presence of magic is generous. Curiosity is the virtue extolled here, and courage in exploration, and there is a palpable joy at the prospects of all that God’s great world might hold (though the deity Alexander seems most to honor is Bacchus, who also was reputed to travel widely into India). 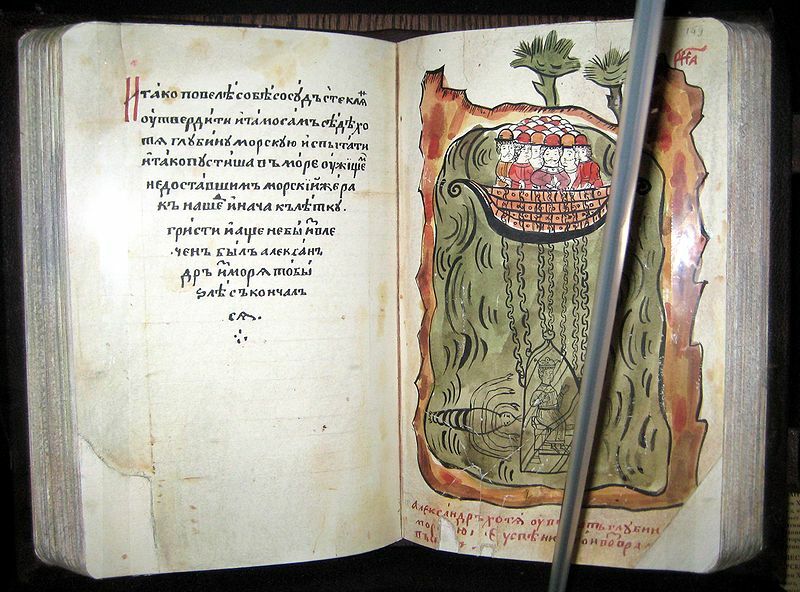 The titles of these passages are: How Alexander Passed through the Land of Darkness and Slew the Basilisk and How Alexander Came to the Trees of the Sun and the Moon. A wonderful thing about Alexander the Great’s conquests, from a storytelling perspective, is how far he ventured into the sprawling regions of the East, filled, to the Greek mind, with every rumor and elusive dream that ancient lore could tell of. Beyond Babylon he marched, beyond Persia, and through Afghanistan (subduing it as no modern army has managed thus far) even into India and the Himalayas. He conquered, he colonized, and he explored. It took him something less than ten years, and he never saw defeat on the field of battle. He was driven to always keep moving, onward to the next city over the horizon, to see every wonder the world had to offer and to claim it as his own. He died in Babylon, aged 32, either by poison or some kind of illness, and reportedly wept that he had not conquered all the regions of the world. These wide travels provide great fodder for legendary material. For all that ancient writers told about Alexander, much remains undocumented and open to speculation of both the serious and the fanciful kinds. Naturally, I am more interested in the fanciful kinds. 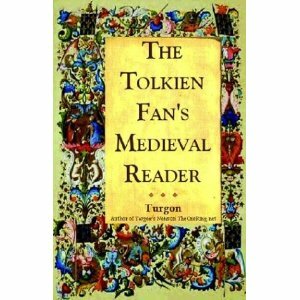 According to Turgon, the editor and compiler of The Tolkien Fan’s Medieval Reader (and a founding member of TheOneRing.Net), most of the Alexander romances remain untranslated. These passages are from a retelling by Richard Steele; I have not yet found any other information about them from a scholarly source, and have thus resorted to Wikipedia. In summary, the various sources range from Roman-era Greeks like Arrian, Diodorus, and Plutarch to anonymous authors throughout the ages, extending into the late Renaissance. They appear in many languages, including Russian, Hebrew, and Arabic. Even the Koran records myths relating to the king of Macedon. And, at least for the European sources, it doesn’t seem that we know who wrote them. The story begins after the last of Alexander’s historical conquests, in India. He leads a combined army of Greeks and Indians into “a plain full of fair flowers and trees,” rich exotic fruits and spices, and peopled only by a race of cowardly giants who are easily routed. They venture further and discover more wonders, including a vast desert with a central region on which the sun never rises. In the Land of Darkness, Alexander searches for the Well of Life with the aid of the magic stone Elmas, which shines brighter the nearer it is to the Well. Now the Well of Life is said to disappear once a man has bathed in it, and it does not reappear for another year. Alexander sends out search parties in every direction with instructions not to touch the water of the Well if they find it, but to return immediately to him. Because the land is still perpetually in night, trumpeters sound their instruments every hour so the searchers can always find their way back to camp. When one searcher, Philotus, returns with his hair wet, Alexander knows the man has found the Well and bathed in it, thus gaining immortal life. The king has Philotus take him to the spot, but the Well is gone. Alexander continues up into the eastern mountains, recalling a prophecy that said he would learn of his fate in the East. When his men start dropping dead in the mountain passes, he climbs to a high peak and spies a Basilisk—a great snakelike creature who slays merely by its glance—hiding among the rocks. He defeats the Basilisk in the time-honored way of Greek heroes, by use of a mirror, and collects precious ingredients from the monster’s remains. Returning to a mountain temple he had previously passed, Alexander is told by the priests about a Northward Way that leads to the Trees of the Sun and the Moon, which can speak the future in human languages and read human minds. Ever the ambitious man, Alexander leaves his army and embarks upon the Northward Way with a small entourage. He finds “a great cliff, shining in the setting sun from thousands of brilliant points like diamonds, and from chains of red gold leading from step to step up the face of he rock, high up beyond the ken of men” (159). Who has cut these steps—two thousand and five hundred of them!—into the mountainside? We don’t know, but Alexander climbs them anyway, and finds at the top a wide golden plain, full of trees bearing varied spices and fruits, and villages of friendly Indians wearing tiger skins, and far off a shining palace. The land is so beautiful and fertile that it seems only Paradise could excel it. A gray Elder waits in the palace and impresses Alexander by knowing his name without being told. The Greeks ask for the Trees, and are led into a garden, where a colorful Phoenix is casually pointed out as it roosts in a hundred-foot high tree. Then they come to the Tree of the Sun, which is gold and male, and the Tree of the Moon, which is silver and female. I interject merely to note that Tolkien reportedly cited this story as an inspiration for the Trees of Valinor, which were gold, silver, and sacred. From the Trees Alexander learns the answers to his two most pressing questions: that he will never return home to his mother in Macedon, and that his death will come by poison at the hand of one of his most trusted friends. Hearing this, he is deeply grieved, and briefly considers whether by slaying all his friends he might save himself. But wisdom prevails, for he cannot bear the thought of the suspicion and dishonor that would bring him to the end of his days. And so he leaves the marvelous land, rejoins his army, lies about the Trees’ prophecies in order to lift the spirits of his men, and begins his journey home, joyous in outlook, but wary in spirit. Pictured: Alexander doing something epic. In a boat with other dudes. Alexander is a hero in the classic sense; a man who accomplishes amazing feats the rest of us could only dream of. For him to have this quality we should, I think, be able to find some moral value in his deeds, if not his heart. “Early in the morning he arose, and when he had called to him his twelve tried princes, he began to ascend the steps on the side of the mountain, and as he went up it seemed to him that he was going into the clouds, and when he looked down, the path by which he had come seemed as a silver ribbon among the hills, and the men of his host seemed smaller than bees, and nothing that might happen seemed strange to him, for his joy and lightness of heart” (159). This, to me, is the great virtue of Alexander as a hero: his delight in exploration, in seeing overwhelming natural wonders for the first time. I have felt a lesser version of it, once when I stood at the top of a Scottish munro, wrapped up to my nose from the chill and howling winds, gazing in rapture into the wide silver mists that obscured most of the wet, heather-filled world from view. Other ancient heroes desire fame, honor, and success in war. While Alexander undoubtedly wants to conquer and rule, he is also driven by this desire to see all great things the world has to offer. This curiosity breeds a certain generosity and tolerance in him. The Greeks and Persians famously hated each other due to decades of bloody wars, but Alexander envisioned an empire-wide culture that fused Greek, Persian, Egyptian, and Indian elements. Indian King Porus is his second-in-command, and he makes sacrifices at every alter he comes across, regardless of religion. Tellingly, he displays no desire to conquer the land of the Trees, though it is undoubtedly the richest and most wonderful land he has come across. He treats it with caution and respect, as if recognizing that its mere existence suggests the work of a deity greater than the kind he claims ancestry from.